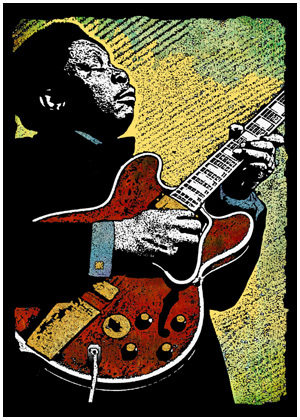 LivinBlues Greeting Kards are full color 5X7 printed on coated 100lb card stock. Please use navigation above to browse each design. Available in a multiple design box of 10 Kards/ envelopes for just $32.00 shipping included. To order please use drop down menu to select LIVINBLUES or LIVINPULP 10 KARD BOX SET. Allow 7 days for delivery in North America.